In its first league match of the season, the girls' tennis team edged Cocalico 4-3 on Thursday. With a crowd of onlookers present to see the newly refurbished tennis courts, the intensity of each and every player silenced the noise of the fans throughout the courts as the competition began. The match began with doubles; sisters Taylor and Sarah Capoferri created a dynamic duo. The match was of equal skill level and a perfect competition for the sisters; they earned several points by the opponent’s inability to accurately return the ball. Together, they quickly won their first match with a score of 8 to 0. Of the three doubles matches that count towards the overall score, L-S won two. The competition of Cocalico was very well paired against the L-S team. “I think that our players are doing a great job staying focused and working together,” senior Ashley Readinger says. While the remaining doubles matches continued, frustration grew -- the weather looked concerning. Luckily, the dark storm clouds blew away just in time for the singles matches. Both Taylor Capoferri and Sarah Capoferri showed no mercy while battling away during their sets. Taylor won her sets with her excellent serves and impeccable tennis skills. Although singles were much more of a battle than doubles, the longest match was between Lauren Rettew and an equally skilled Cocalico player, Brianna Titi. Their match lasted for over two hours as they fought for every point. Rettew lost the first set when the fight first began. After losing the first set, the second set became more challenging, as it was a tie, which Rettew eventually broke to win 9 to 7. The remaining set began as the sky grew darker and all of the teammates surrounded the court. Rettew fought a long, hard battle during the last set, which she lost at a tiebreaker score of 10 to 4. Earlier this week at a scrimmage, Rettew had another several-hour-long match. Perhaps the methods of new coach Josh Riehl had paid off. 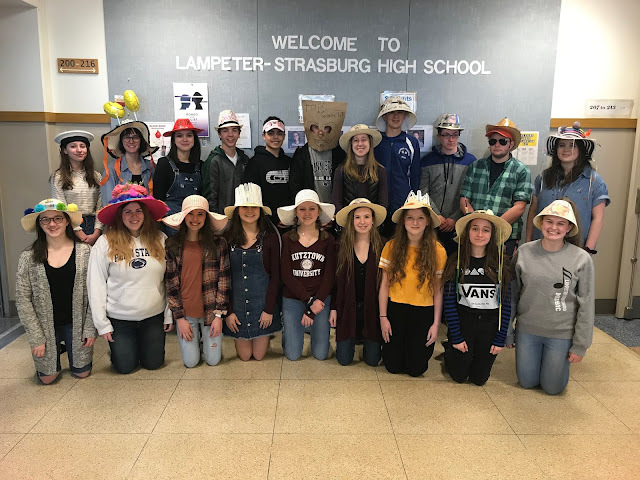 Many teams in the league believe that since L-S has a new coach and lost several top players -- including Sarah Sambrick, who made a surprise appearance at the Cocalico match -- that this year is a rebuilding year for L-S. Nevertheless, the team has become strong during the preseason, and by winning this match against Cocalico, it sends a message to the other teams that L-S is prepared for challenges from top teams in the league. After its first league match, the Lady Pioneers of the L-S tennis team remain undefeated, and look to continue their success as the season progresses.